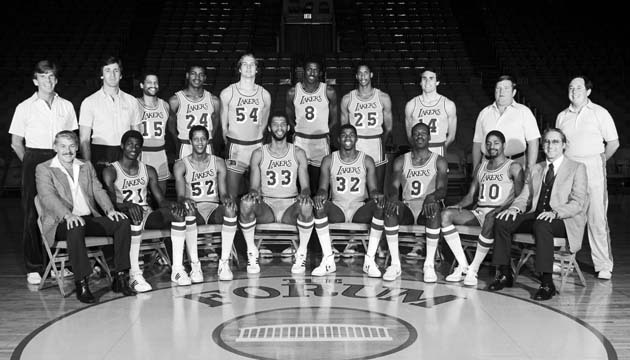 When the Lakers selected Earvin “Magic” Johnson with the first pick of the 1979 NBA draft, an exciting era of “Showtime” basketball in Los Angeles was born. 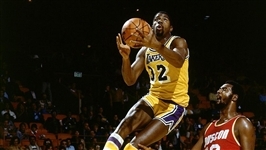 After leading Michigan State to an NCAA title in ’79, Magic went on to guide L.A. to five NBA titles over a nine-year stretch. His rookie year was unlike any in league history as the 6’ 9” point guard from Lansing, Mich. averaged 18.0 points, 7.7 rebounds, and 7.3 assists per game to take home Rookie of the Year honors. 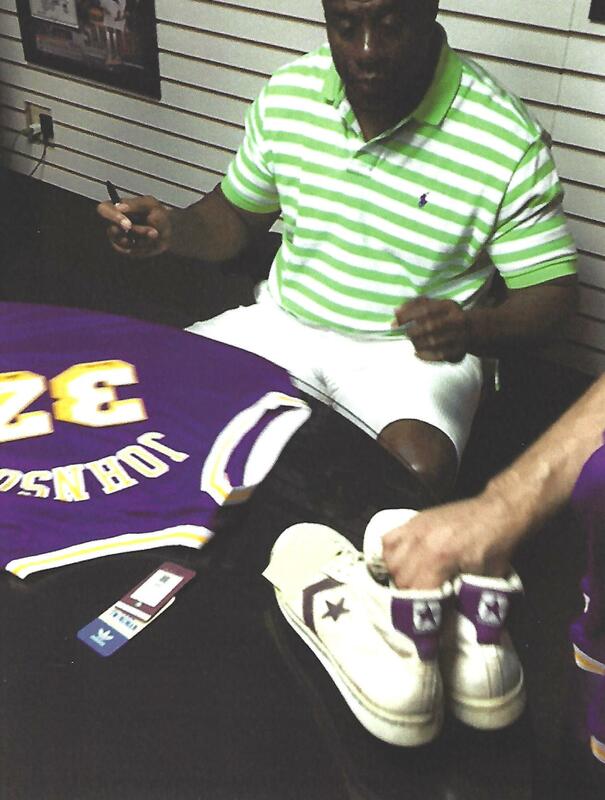 In addition, he became the only rookie ever to win the NBA Finals MVP award and one of only four to win NCAA and NBA titles in consecutive seasons. 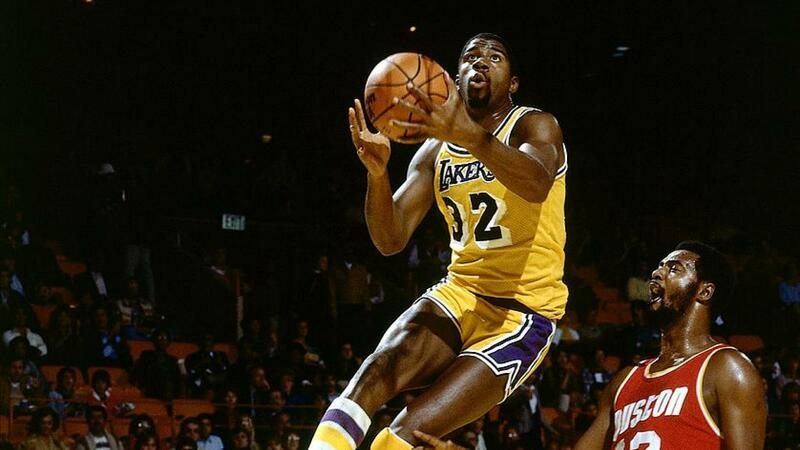 Magic averaged 21.6 ppg for L.A. in his second year and by the 1981-82 campaign he was up to 9.6 boards and 9.5 dimes per contest, guiding the Lakers to their second NBA title in three years. 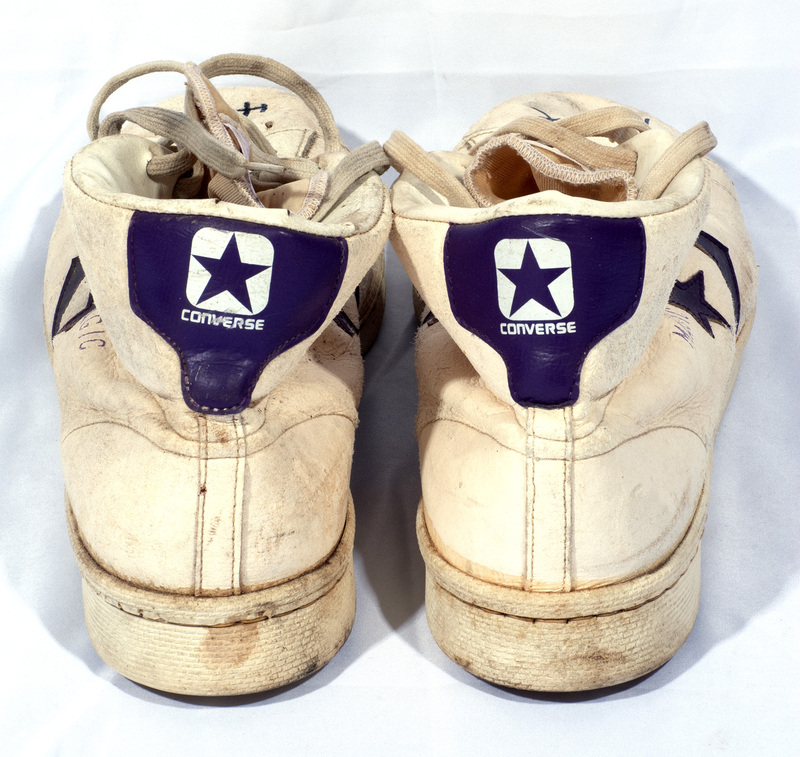 Featured here is an early pair of Magic’s game-worn sneakers. 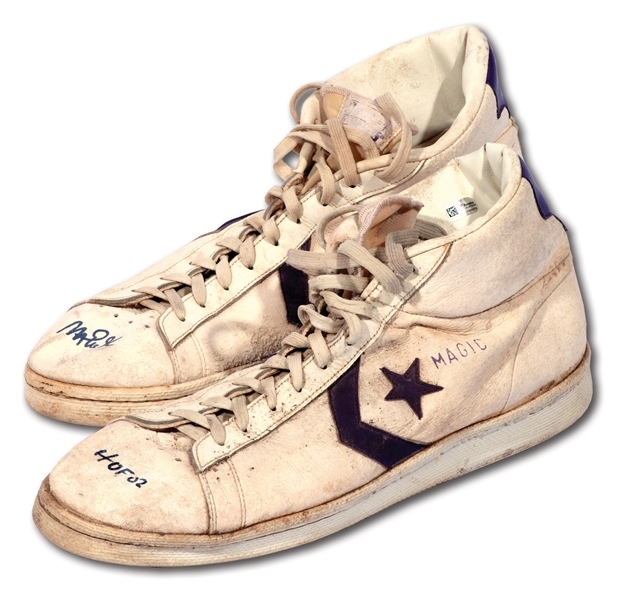 According to the letter of provenance from the son of Elvin Hayes, Magic wore these in a road game at Houston in 1981. 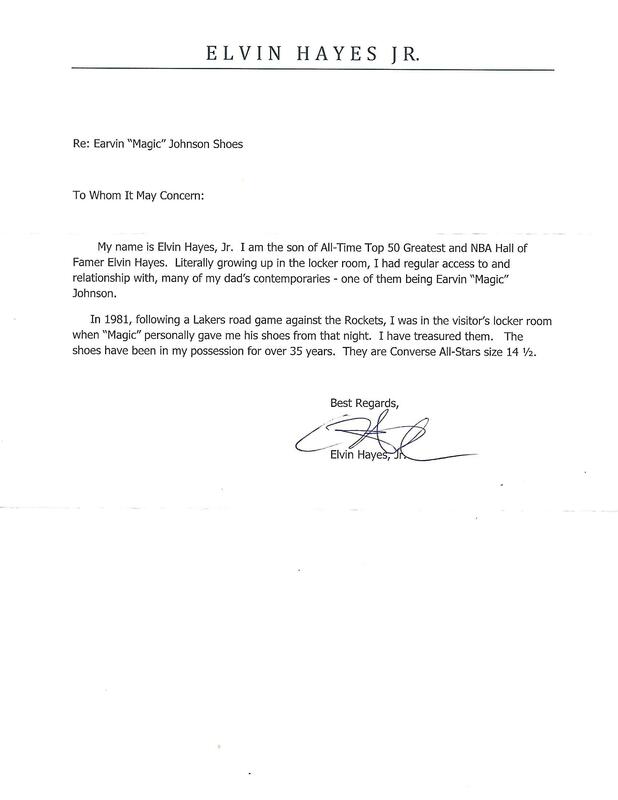 Hayes was finishing up his Hall of Fame career with the Rockets, while Magic was just about to enter his prime years. 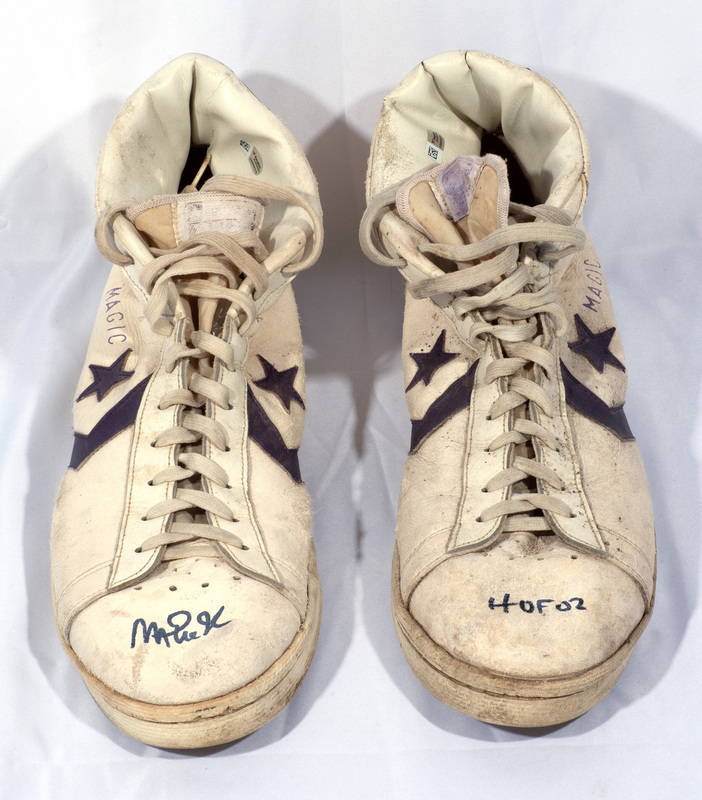 Includes LOA from Elvin Hayes Jr. Fanatics Authentic cert #'s ZZ0005378 and ZZ0005379. 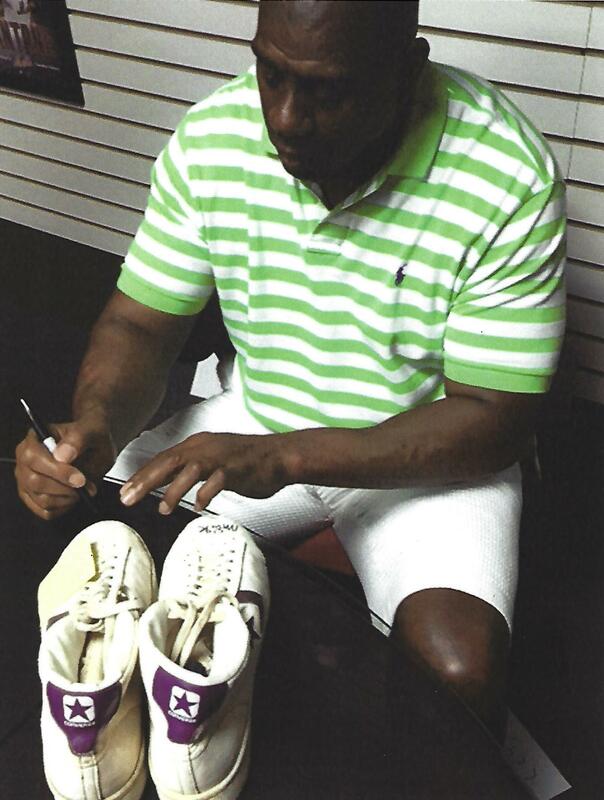 Autographs pre-certified by PSA/DNA. 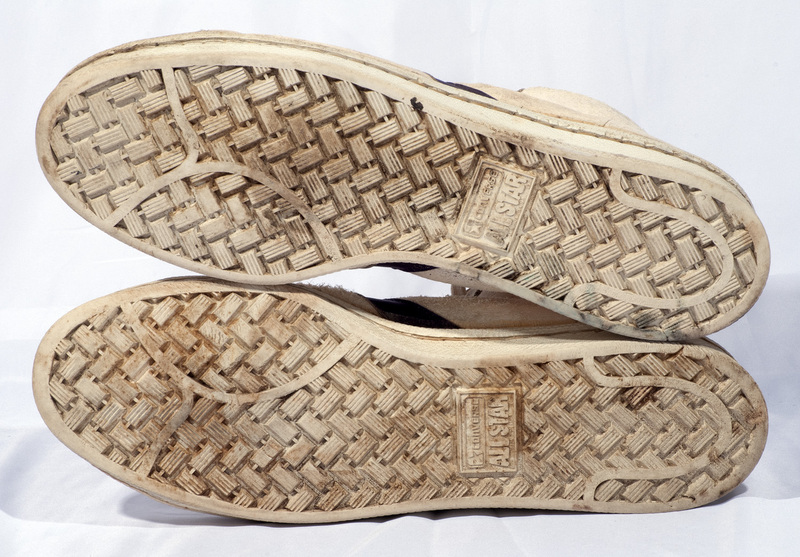 Comes with two photos of Magic signing each shoe.